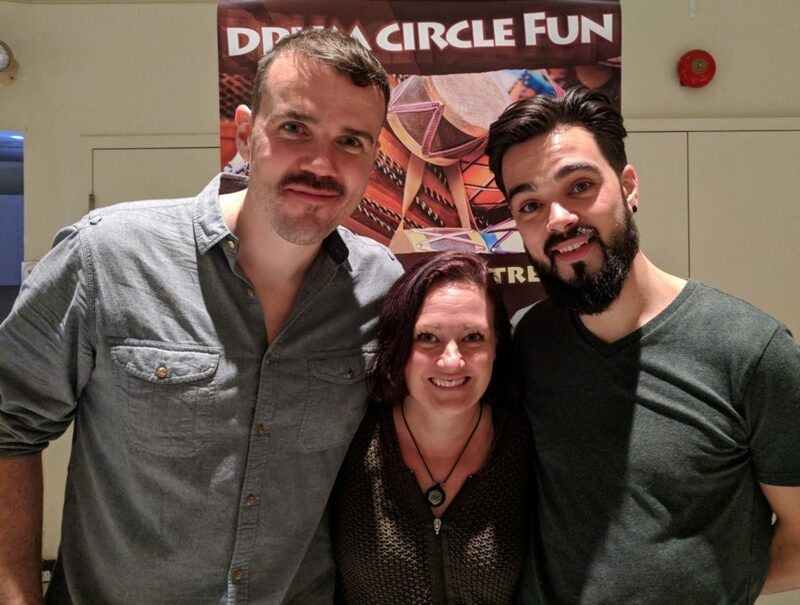 We are a group of passionate individuals who have been attracted to the drum circle as a tool for well-being in our own lives, and see it as an instrument for healing and transformation in the workplace, and the community. This is more than a job, it is our vocation, and our purpose, to help people thrive, even in difficult times! 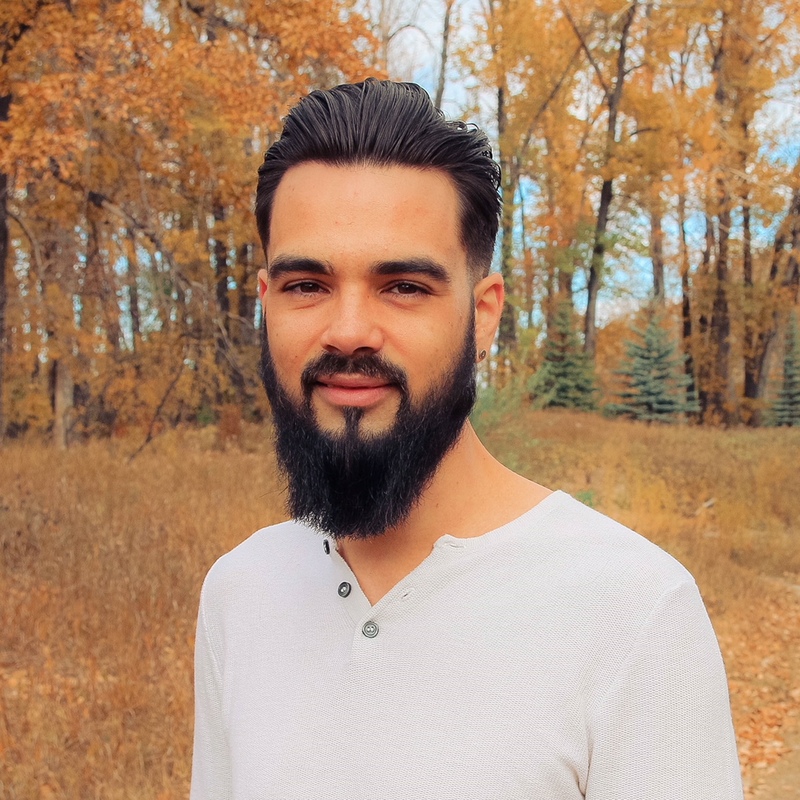 Julien Lepage, father of three, full time Mental Health Social Worker and Professional Drum Circle Facilitator, describes his passion as being of service and seeing people thrive not just survive. Since 2009, Julien has developed a specialty in working with adults who experience life with a chronic and persistent mental illness. 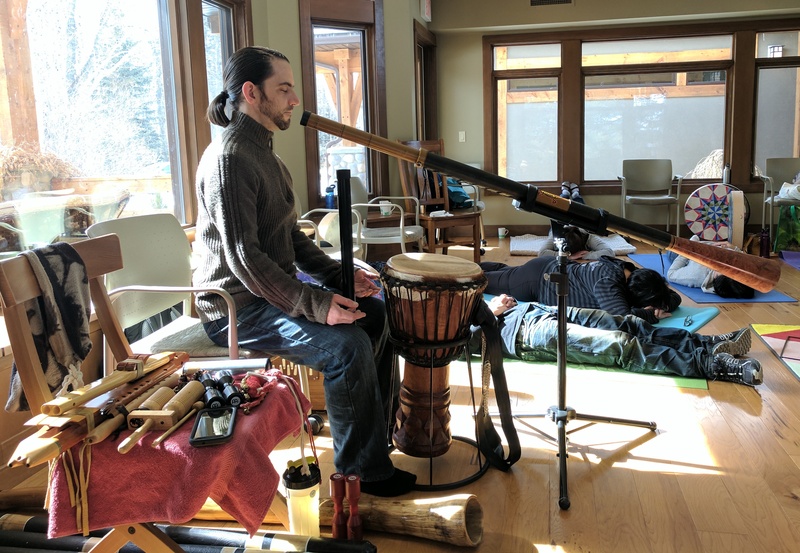 Julien is also a professional musician and has found a way to combine his passion of using the healing power of music within his profession as a Social Worker in Mental Health. 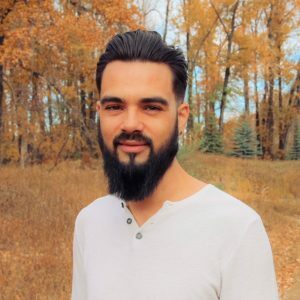 Through innovation & research, Julien was able to empower staff and leaders around him to build community in the least expected areas including: inpatient psychiatric hospital units, corporate business settings, and within the drug and alcohol addiction detox centers. 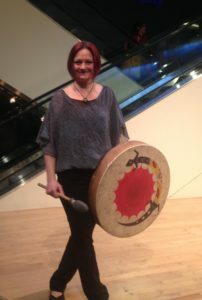 Lepage offers an energetic yet grounding experience using an ancient tool: the drum! Julien always brings with him his inspiring energy & passion for life to all who surround him. Jamie discovered the drum circle at Calgary Women’s Centre workshop in 2010 and knew instantly the drum circle is an incredible experience. She completed Drum Circle Facilitation Training shortly thereafter and received mentor ship by Judy Atkinson to become the facilitator she is today. 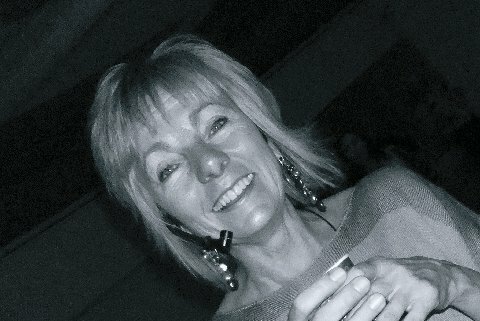 In August of 2015 she became the General Manager for Circles of Rhythm. She realizes that the drum circle can be a platform to bring people together for many different reasons, ranging from team building, community development, creating an inclusive environment, personal healing, finding a connection to something deeper, and even for just pure fun. She has brought the power of the drum circle to many different people including: professional teams, seniors and youth groups, individuals facing health issues or abuse, and even people with developmental disabilities. With each of these groups she sees the impact of the drum circle, and the benefits it brings. Her life intention is to bring the joy and connection to others, and carry on the legacy of her mentor and all of those who have drummed before her. It is her hope to show us that we all have a natural unique rhythm and ability! 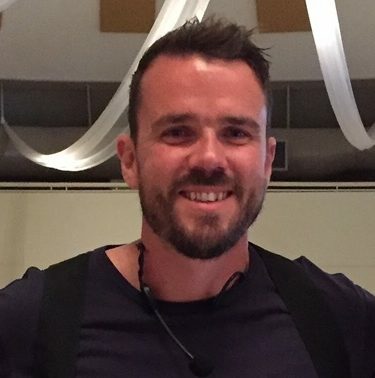 Jon Pocock, is a father of 2 young children and a full time Recreational Therapist who works in the field of Addictions & Mental Health. Jon was introduced to the drum circle through the Rhythm Project initiative at South Health Campus. After just one experience Jon was hooked! He then completed his DCF training in 2015. Jon naturally pieces together his experiences of being a father & husband, his background in competitive sports and what he has learnt on his personal journey through the drum, to motivate and inspire individuals to succeed in many of life challenges. Jon brings his natural positive outlook on life and high energy to his unique style of facilitation. 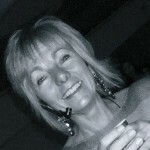 Judy Atkinson is an inspired speaker, accomplished facilitator, and an authentic optimist. Joy is her compass as she consistently shines with a naturally positive attitude. Winner of Global TV’s Woman of Vision Award, and CTV’s Inspired Calgarian, Judy has provided drum circle workshops and interactive keynotes to thousands of people across North America for over 17 years. Now a well recognized form of professional development and complimentary health strategy, Judy uses the drum and the drum circle as her core teaching tool. She seamlessly weaves together drumming with stories, and connects them to important messages which heal, inform and inspire. Didgeridoo performer, teacher and sound therapist, Trevor completed the Circles of Rhythm Drum Circle Facilitation Training in 2013, and has attended drum circles as an active therapeutic performer and facilitator for several years. He is a soundscape and vocal artist, spiritual writer, poet, friend and guide. Spiritual aspirant of several years now Trevor is sharing the fruits of his labor through music, presence, word and sound. He is a seeker and collaborator for individual and social healing projects and spiritual awakening.